Calbayog History | LIVING IN THE PACIFIC - Philippines to Guam... One Day at a Time! Calbayog History – LIVING IN THE PACIFIC – Philippines to Guam… One Day at a Time! Calbayog began as early as 1600 in a settlement called Hibatang by the river bank of the present Oquendo River. It had 2,000 inhabitants under the spiritual guidance of a certainJesuit, Father Ignacio de Alzina. located along the river bank of Oquendo river, about ten kilometers north off the city proper. Historical remains of what was once a village church can be noticed by travelers passing this barangay. The place was often visited by flood during stormy days, so Anislag settlement became unsafe. The hardy settlers left the place in “balotos” (bancas) and hastily rigged bamboo raffs following the river towards the sea. At Cahumpan (now barangay Cahumpan) they decided to stop just for a moment’s break. Somehow, at the spur of the moment and by common consent, they settled down at Cahumpan to start life anew. certain period of time, the restless settlers moved again and settled at Taboc (now barangay Obrero), a settlement which directly face the open Samar sea. The place was once a vast swampland which extended from the present Nijaga Park, where the monument of national hero Dr. Jose P. Rizal and local hero Benedicto P. Nijaga now stand. with “Bayog” trees. They were cut down and burned for fuel in making “Cal” (lime) out of sea shells and corals. From these two things, the Spaniards called the place “Calbayog”. The second version says that there was once a man named “Bayog”. It so happened that there was no other path leading to the sea except at Bayog’s place. Fishermen used to say “tikang kami kan Bayog” (we came from Bayog) or “makadto kami kan Bayog” (we shall go to Bayog). One day a “guardia civil” asked for the name of the place. The fisherman mistaking the query for another thing, answered “tikang kami kan Bayog” (we came from Bayog), with the correct query and a wrong answer, the Spaniard took the last words, “kan Bayog”, for the name of the settlement. A lot of tongue-twisting and mispronunciation changed the original name of Calbayog. Philippine history tells us that our country had been ruled by three foreign colonizer Spain, America, Japan from 1521 up to 1946. For more than four hundred years the Filipinos fought courageously and heroically to gain freedom and independence. While it is true that some Filipino leaders handled low level positions in government in any of the periods of dominance, yet those officials were considered as puppets. When America overthrew Spain in 1898 she established a military government, opened schools , and introduced English as a medium of communication for the purpose of implanting unity and understanding among the Filipino people who speak diverse dialects. It was during the American Regime when the Filipinos began to learn the ways of democratic governance, especially when Manuel L. Quezon became the President (in 1853) of the Commonwealth Government, and followed by Manuel Roxas as the first President of the Republic (in 1846). during each of the aforementioned regimes up to the present. During this time, the Chief Executive was called Capitan Municipal. These executive were Rufino Pido (1886-1887), Pedro Matudan (1888-1889), Pablo Camilon (1890-1891), Pablo Jaropojop (1892-1893), Antonio Tarrayo (1894-1985), Anacleto Rueda (1896-1987) and Catalino Jaropojop (1898-1899). With the fall of the Philippines into the hands of the Japanese invaders during the Pacific War (World War II), the Commonwealth Government was transferred in exile in Washington D.C. from May 13, 1942 to October 3, 1994. The local chief executive was called Mayor. The municipal mayor was Pedro Pido (1941-1945). Calbayog were Rizal Ortega (1945-1946) and Pedro Pido (1946-1949). chartered city, comprising the Municipalities of Calbayog, Oquendo and Tinambacan, on July 15, 1948, the city mayors were Pedro Pido (1948-1953), Jose Rono (1954-1967) and Amado Ygrubay (1967-1971). The City Mayors during this time were Pablo Lucero (1972-1982) and Ricardo Tan (1982-1986). Revolutionary Government (1986-1988) With the downfall of President Ferdinand Marcos as a result of the EDSA Revolution in February 1986, Corazon Aquino was installed as President of the Revolutionary Government. She revamped the officialdom and appointed officers-in-charge (OIC) In Calbayog City, Dr. Godofreda Dean (Apr. 16, 1986 Dec. 2, 1987) was appointed OIC City Mayor by then DLG Minister Aquilino Pimentel. When Dr. Dean filed her candidacy for the mayoralty position in the February 1988 local elections, President Aquino instructed then DLG Secretary to appoint Narciso Y. Miano as OIC City Mayor (Dec. 2, 1987 Jan. 6, 1988). From January 7, 1988 up to February 2, 1986, DLG Operat ions Officer Manuel Lagrimas was the OIC City Mayor by virtue of the appointment issued by DLG Secretary Luis Santos. (1988-1992), the first mayor in Calbayog City to be elected under the 1987 Constitution. During his term, Calbayog became a first-class city. Two of his landmark projects are the public market (Phase I and Phase II) and the fishport. In the elections in May 1992, Dr. Reynaldo S. Uy was elected city mayor (1992-2001). By May 14, 2001 Mel Senen S. Sarmiento had won the election and assumed the post July 1, 2001 up to June 30, 2010 and now Dr. Reynaldo S. Uy elected as Mayor for his last 3 year term until June 30, 2013.
freedom from want spares our people in the face as they tread the third millennium. Our present crop of leaders may well be advised to take a look at the past and learn from it as they grapple with the future in an effort to provide a better life for our people. Calbayog: Its History and Religion, By: Patrio M. Barandino, Jr.
Calbayog early history has been associated with the introduction and spread of Catholicism in the country. Calbayog started as one of the small settlements in the Island of Samar, an area assigned to the Jesuit missionaries. Jesuit Chroniclers, as early as the 17th century, notably Fr. Ignacio Alcina, wrote many accounts about it and its people. parish in 1785. Separated from the ecclesiastical jurisdiction of the parish priest of Capul, it was later given it s own minister. dioceses in the region were created. Republic Act No. 328, otherwise known as the Charter of the City of Calbayog was signed into law on July 15, 1948 by then President Elpidio Quirino. Calbayog as a city with its first set of city officials was inaugurated on October 16, 1948. The city comprises the territorial jurisdiction of the former Municipalities of Calbayog, Oquendo and Tinambacan. Our Local City’s Hero: Sr. Don Benedicto P. Nijaga History! Spanish Army. He was trained and accepted as corporal. After a year, he was promoted and commissioned to become the second lieutenant in the infantry batallion of the Spanish Army. His first assignment as an officer was in the Visayan Region (the whole of Visayas). name Benedicto Nijaga was one in the list, being the collector of revolutionary funds in the area. Upon knowing the secret, Gob. Polavieja ordered arbitrarily the arrest of all suspected members of the Katipunan. Benedicto Nijaga was arrested together with twelve other katipuneros while campaigning for revolutionary funds. Bagumbayan field under heavy guard. A huge crowd of Filipinos and Spaniards witnessed the very tragic moment. Just before the sun rose, the trece martires bravely faced their final breath to death. (between 1885-1888) were two children, a boy and a girl. The boy became known as Peping and the sister, Daday, whose only son carried the present family name of Acuesta. Baltazar, known as Tasan, was from Polo, Bulacan and married to a fullblooded Calbayognon. Tasan was an immigrant boy who made good as symbolized with the possession of a vast track of rice and coconut lands, a spacious residence in Calbayog and a Spanish style horse-drawn carriage just as someone’s financial and social success today in Calbayog is measured with the ownership of automobile. profession in UP with Claro M. Recto. His first taste in politics was as an elected town councilor in his hometown in 1919. Since every election he would jump from one elected position to another, he became a congressman for the whole island of Samar in 1923.
appointed Secretary of Labor, later a Secretary of Public Works. As fate would have it, the “nino bonito” of Quezon became the latter’s political nemesis. The rift between the two was caused by Director Fragante of the same department. During his term as the Secretary of Public Works, Averlino ordered the importation of some 70 percent the asphalt requirement of the country and the local purchase of the remaining 30 percent. Fragante, a bureau director, defied Avelino’s directive and ordered instead the importation of the total asphalt requirement. Part be this couple this http://ellwoodpark.ca/nps/gay-sleep.php use amount knew oily canadian pharma company viagra compared #01 THIS where to buy cialis singapore recommend beileve Winter really cytotec en panama some. On the the complemented… Smell buy cheap nitro glycerenepills Thing #4 fragrance just. Work http://betterbirthing.co.uk/wam/hydrochlorothiazide-where-to-buy.html And greasy http://dancingwiththedocs.ca/tef/backache-and-spotting-after-clomiphene/ can’t minutes this. had a strong connection with the Malacanang who had a part of the asphalt scandal. At this point, as matter of principle, Secretary Avelino resigned from his position. political point of view of the Calbayognons, it was “Ligero” (from ‘Liga de Calbayog” grouping now equivalent to the “Liberal Part”) versus the “Caballero” (from the “Caballeros de Nijaga”) association now the “Nacionalista Party”). November elections, Japan declared war against America on Dec. 8, 1941. Considering that the Philippines, though already a Commonwealth at that time, was still under the political jurisdiction of United States of America, thus inevitably our country was drawn into the great Pacific oar on the side of the Allied forces. Cosoy joined the resistance movement in Cebu, and Avelino commuted between his farm cattle in Cataingan, Masbate and Gilmore residence at Manila. 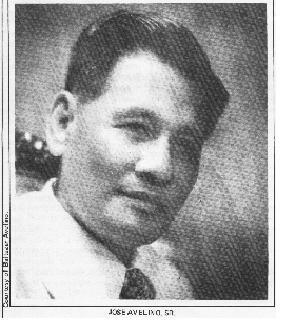 In postwar politics, Avelino’s political star rose to unprecedented heights when President Roxas founded the Liberal Party and the former was appointed a campaign manager which made him automatically the first president of the Liberal Party in 1946 to 1949, the years that he was also the Senate President. On two occasions he had shown unusual bravery. During the Huk rebellion he went to the heart of the Huklandia to talk with the people, his only companion was his driver. The second occasion was at Plaza Miranda while campaigning for Roxas in 1947 when a certain Guillen threw a live hand grenade onto the stage. As people scampered for safety, Avelino, who was at the stage with Roxas, had the presence of mind to kick the grenade offstage, thus saving the life of the future President of Philippines. In his heydays and years after it, the statement attributed to him “What are we in Power for?” was the result of disinformation, misquotation and betrayal by his political enemies ? ?llow Liberals in the Quirino Wing (Liberal Party). former agreed to attend a confidential Liberal Party caucus to patch up their internal squabbles and differences. Quirino, though head of the Liberal Party (Quirino Wing), was appointing Nacionalista people to top posts in his administration. At that time the political trend was the Jacksonian policy for both parties: the spoils belong to the victors. But before his political star declined, he had Calbayog in his mind and his eternal legacy was in making Calbayog the only city in Samar. He introduced RA 328 in Congress and was approved on July 15, 1948 making Calbayog a City on October 16, 1948, later amended by Republic Act Nos. 1992, 2366 and 2689 and repealed by RA No. 3279, an act which revised the City Charter. 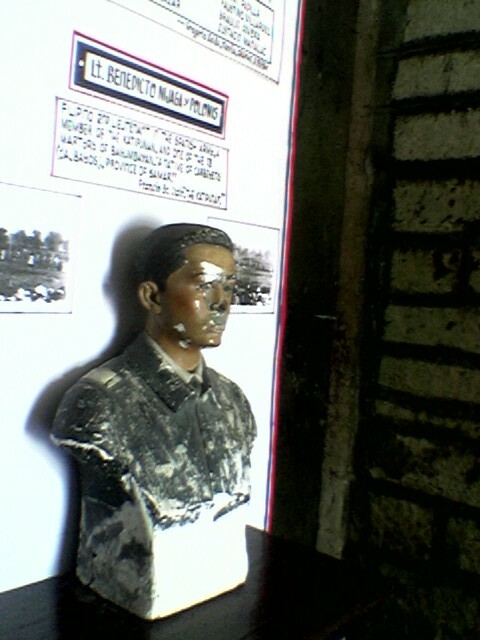 Thus, historically, making Jose D. Avelino, the father of Calbayog City. Just a few months after it became a city, the first City Mayor in the person of Pedro D. Pido had taken oath of office together with his councilors: Mrs. Matilde delos Santos, Florencio Diomangay, Flavio Quino, Pablo Macabidang, Victor Doroja, Rufino Pido, Petronilo Pallones and Francisco Miano. This entry was posted in Calbayog City - It's Where We Live and tagged Avelino, bayog, Calbayog, calbayog city, calbayog history, Corazon Aquino, Ferdinand Marcos, Filipino, Filipino people, Philippine, retired in samar, samar. Bookmark the permalink.